With over 220 million speakers and 72 million partial speakers, French is one of the very few languages spoken all over the world. If you are interested in learning more about the people, culture and history of France the study of French is a great way to immerse yourself in these areas. Studying French at UON is open to both beginners and intermediate speakers. Whatever your education level, knowledge, training or lack thereof, we offer a structured major to suit your needs. Beginners French - Those who begin in the first year of their degree can complete their undergraduate major sequence (third year) with Advanced French. Intermediate French* - Perfect for those with sufficient background in French. You will begin your study at Intermediate level and finish with Extended French. Extended French is designed to further your understanding of complex grammatical structures. French Studies is a major designed to develop globally in-demand language skills that will prepare you for a professional career or for further study. An interest in learning how to speak, read and write in French, as well as about French culture through the French language. Goals to work in France, or with French organisations in Australia. An understanding of language as a facilitator of business, personal growth, cultural connection and a skill for employment. Beginners French: Courses in beginners French are designed for students with little to no experience with the language. You will develop a basic vocabulary and understanding of grammar by studying with a communicative approach. Intermediate French: Intermediate French courses further develop the abilities of students who have some experience with speaking, reading and writing in French. You will improve your vocabulary, pronunciation and grammar before moving onto more advanced studies. French culture and philosophy: Students will study the phenomena which have shaped the culture and intellect of France since the 19th century. Your courses will focus on literary, artistic and philosophical movements in the city of Paris, and the personalities who influenced French expression and thought. 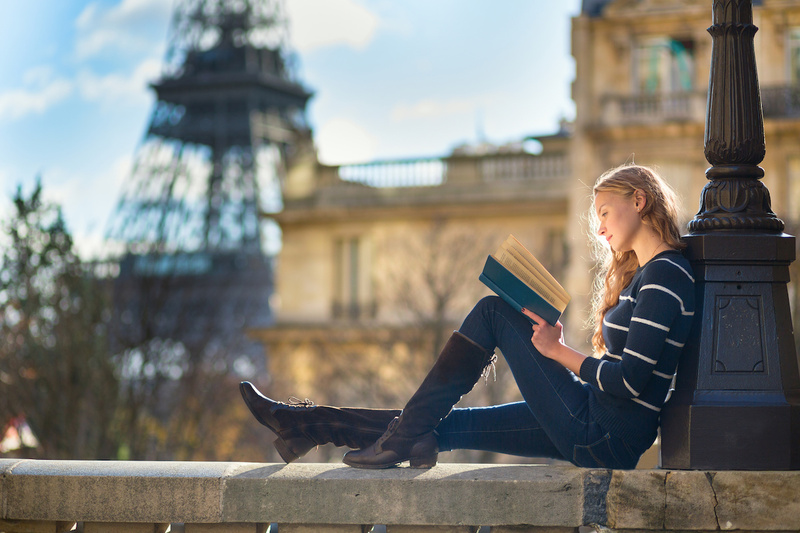 When you study French you can will enjoy extensive travel opportunities and study support. The Kelver Hartley Bequest Program allows undergraduate students to spend six months in France at the Université de La Rochelle. Grants for Honours and postgraduate students are also available. Thanks to the generous bequest of the French department's foundation Professor, Kelver Hartley, French students at UON have the opportunity to gain life-changing skills and experiences in France, as well as to apply what they have learned within their degree. Which degrees include a major in French? Once you have completed your Bachelor’s degree, majoring in French, you may be eligible to complete an honours year to further your study of the language. *French skills/background will be subject to assessment by the Head of Discipline. The French Honours program is designed to enhance your language skills, whilst also preparing you for postgraduate research in French Studies. FREN4150 - This course is a methodology unit tailored to your academic interest. FREN4160: Choose the specialist skills unit based on your interests. LANGUAGE AND TRANSLATION - Those with an interest in language and translation are encouraged to undertake Linguistics. FREN4170 (Honours thesis preparation) and FREN4180 (Thesis submission) - You can choose to write your coursework essays and thesis in French or English. French Honours will ensure that you continue language development and foster the academic skills specific to your area of interest. If you are interested in undertaking Joint Honours (French and another discipline major), please contact the French Studies staff. For more information about Honours in languages, get in touch with our Head of Language and Language Studies. French offers both undergraduate language study and postgraduate research. Staff are committed to excellence in teaching and research. In 2007, the Carrick Institute awarded the French discipline at Newcastle a Citation for Outstanding Contributions to Student Learning. Outside the classroom, they publish widely on French and English literature and in the field of translation studies. The discipline's international research partners include the French discipline at Nottingham Trent University in the UK. Both Alistair Rolls and Marie-Laure Vuaille-Barcan are members of NTU's research centre for the study of contemporary France, ReFrance. They are also prominent on the national stage as members of the Australian Society for French Studies.